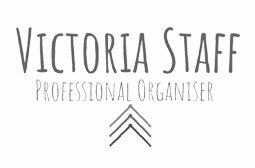 Victoria Staff is a Professional Organiser and is donating her services to our charity! After spending 13 years as an Executive Assistant, in both corporate and private businesses around Europe, I decided to follow my passion for decluttering and become a Professional Organiser. 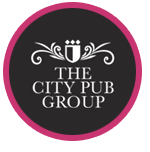 I travel around the UK helping clients to declutter and organise their homes. From a one bedroom apartment, an eight bedroom farmhouse to a large corporate office, no job is too big or too small. Our lives are increasingly ‘full’, from the 9-5, to night shifts, from school runs to gym sessions, from doing the washing to cleaning the house, our lives are full of activities, both enjoyable and some not so enjoyable. Our homes are our places of safety, a base of operations from which we venture out into the world. With such busy lives, the home often becomes a place of neglect, and can negatively impact on stress levels and ultimately our health and wellbeing. Whether you have been inspired by Feng Shui, Minimalism or by the recent trends of “Hygge” (Danish everyday togetherness), “Lagom” (Swedish for “just the right amount”) or simply want to declutter and organise your home, I work with clients to provide a bespoke service, that suits an individuals needs. Removing the clutter from your home and organising your life, leaves you with an environment full of the things you love and use, and a home that works for you. Your surroundings effect the way you feel.